Before smartphones and Netflix were a thing, we had Game Boys to play with and VHS tapes to choose from video rental stores. I’d watch Titanic over and over again on VHS as a kid (looking back, that was kind of weird). On most days, my brother and I would fight a lot just to have a turn with our Game Boy. 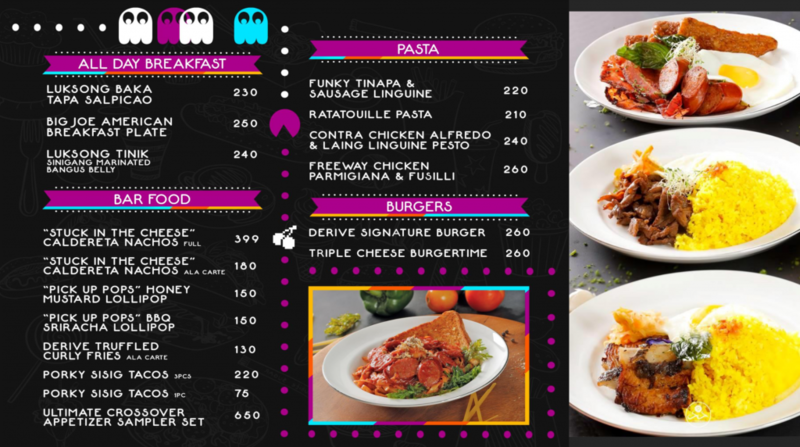 My favorites were Circus Charlie and not to mention, the classic Super Mario Bros.
Our childhood days may be long gone but there’s a café in Alabang Hills that allows you to relive those glorious times. 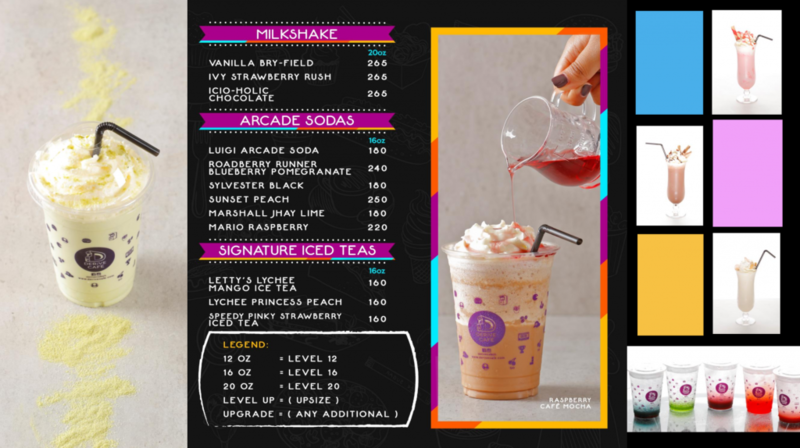 Derive Café brands itself as the “ultimate throwback arcade café” but owner Ivy Jimenez says that the concept could still change in the future. “The name ‘derive’ actually means ‘derived from,’” Ivy explains, “right now, we derived it from the ’80s era and arcade. That’s why we called it the ultimate throwback arcade café.” Ivy and her co-owners intend to make the café as flexible as possible by changing its theme a few years from now. The café interiors and its menu will likely change as well. She hints at the possibility of turning the establishment into a film-themed café in the future but she says that the possibilities are endless. I mean, who knows what the trends would be two years down the road right? 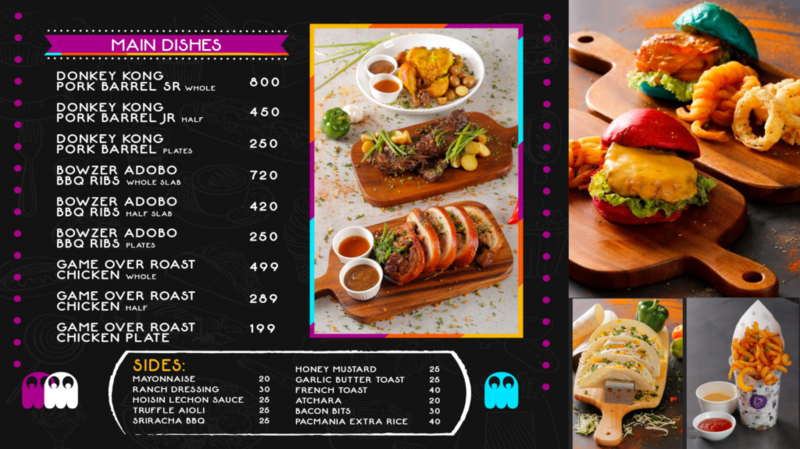 Currently, the café follows a motif inspired by American and Filipino pop culture in the ’80s. Every single bit of the café, from its artwork down to the tiniest of details such as the pillows, is inspired by the theme. 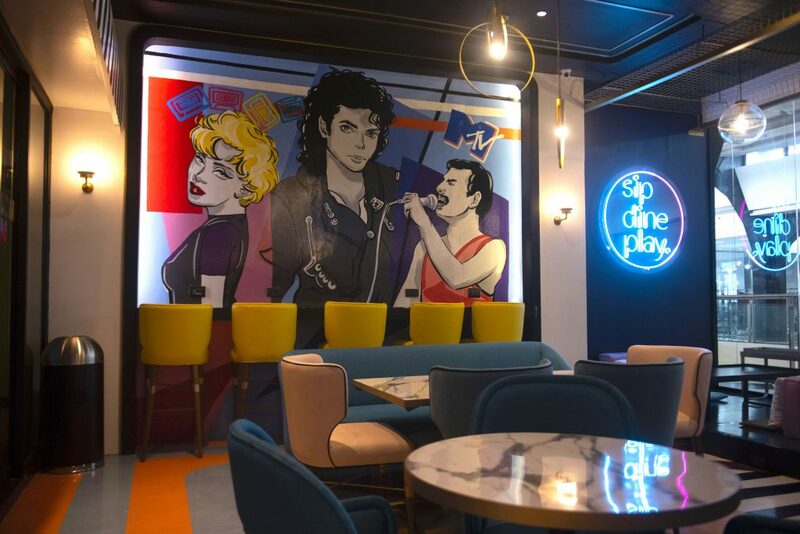 The walls are filled with murals of prominent icons from the ’80s such as Michael Jackson, Madonna, Pepe Smith, and even Voltes V. Shades of blue and purple fill the room similar to that of a real arcade. If you used to play classic arcade games like Pac-man or Marvel Vs. Capcom, then you’re in luck. 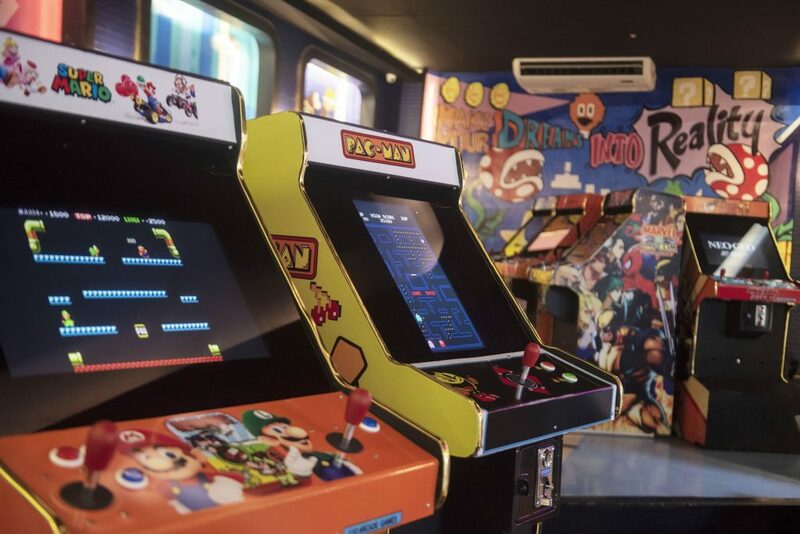 The other side of the café has, in fact, a real arcade room. It’s separated by glass to control the noise generated in the arcade room. A round of your favorite game is priced at just five pesos (be sure to drop new five peso coins). You could catch cult favorites such as Mario Bros., Tetris, plus 12 other classic games. 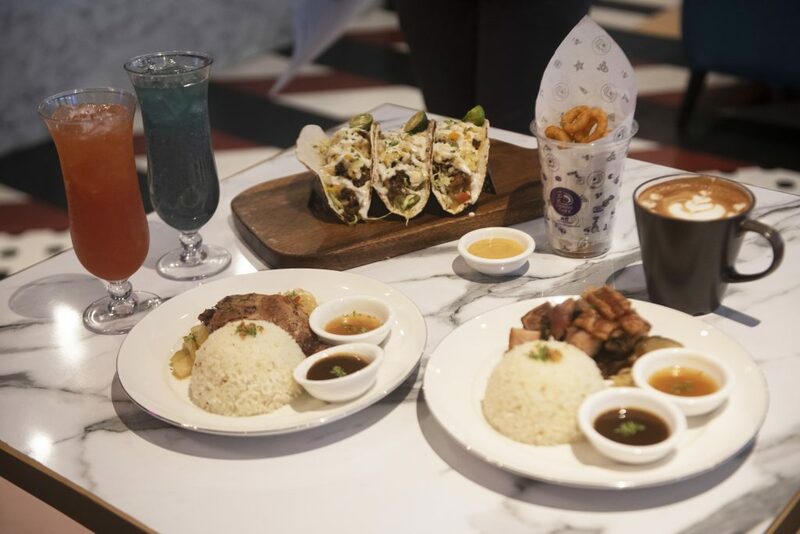 Their food and drink offerings are a fusion of American and Filipino cuisine. 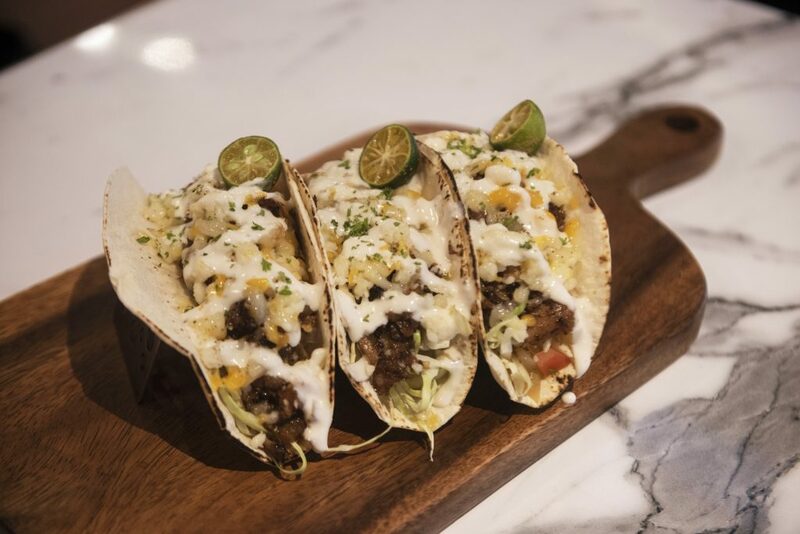 For starters, get the truffled curly fries or pork sisig tacos. The former has a hint of spice in it but the truffle sauce, which is served on the side, makes a unique complement to the fries. The latter, on the other hand, is quite filling on its own. There was an adequate amount of vegetables and pork sisig in it but the house-blend white sauce definitely caps it off. The Donkey Kong pork barrel dish draws its inspiration from its namesake character. While the pork looks similar to lechon kawali, don’t be fooled. 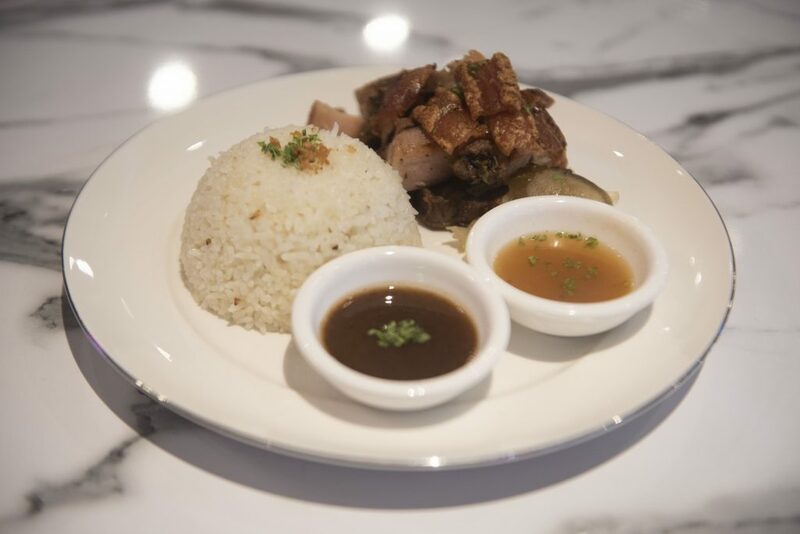 It’s actually a plate of lechon served with a cup of garlic rice. While the pork skin is fairly crisp, I found the meat to be a bit dry yet flavorful. The sauces on the side like their special vinegar make up for it. “We pride ourselves to have purely handcrafted drinks,” co-owner Bryan Sy says. Each drink, Bryan explained, is made from the ground up. 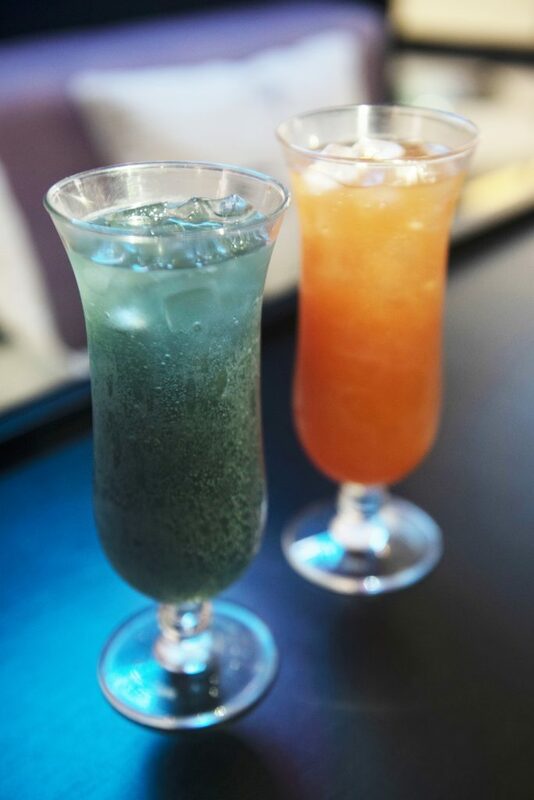 Their selection of house-blend iced teas are made with tea leaves. The Princess Peach iced tea has a lychee base mixed with strawberry, honey, and lemon. This fruity mix was easily my favorite. The roadberry runner soda, on the other hand, adds blueberry, lemon, and strawberry for a unique taste. 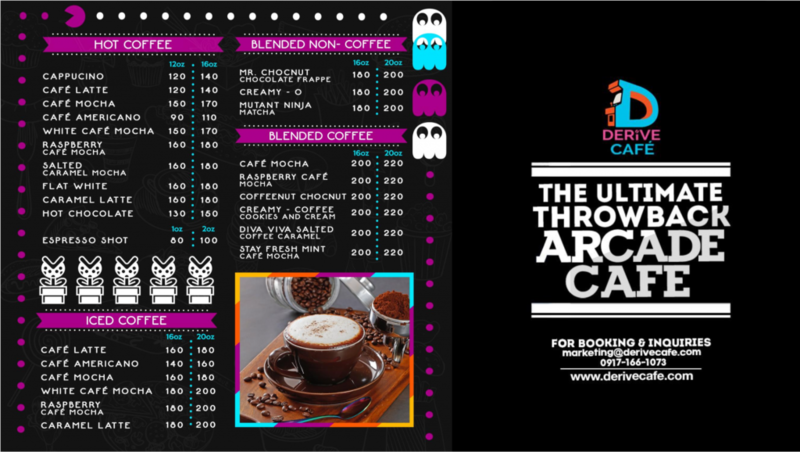 As if being a café-slash-arcade isn’t enough, Derive Café has more facilities in store. 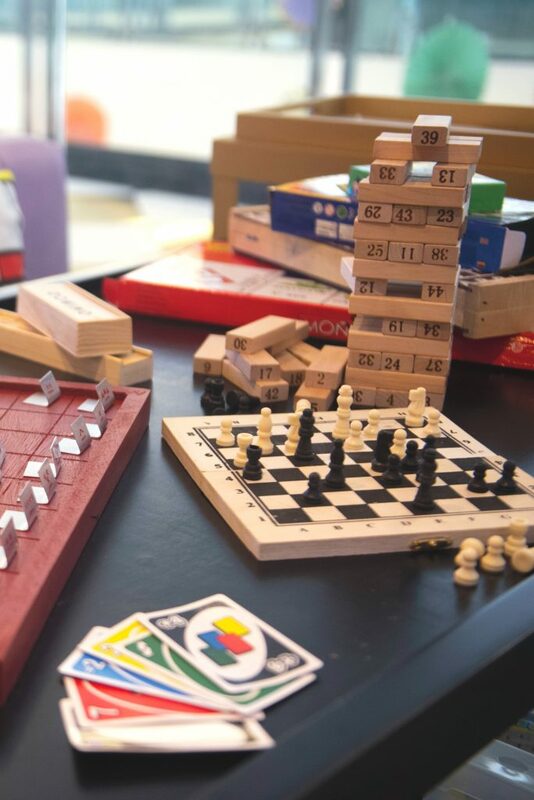 They have a wide selection of board and card games, which are free to use. The café also acts as a co-working space at the same time, with numerous electrical sockets located around the establishment. Wi-fi access will also soon be available to guests. You could also rent out their function room that can fit 20 people in it.